With the trend toward O2O (Online to Offline), which represents integrating physical stores and online shopping, the question of how retailers make use of information technology to move toward an intelligent system, enhance consumer experience, integrate multiple channels, and improve store management efficiency will be the keys to maintaining market competiveness. a that competition exists between physical and online stores. Today, retailers emphasize integrating the characteristics of virtual and physical stores, and make use of IT to develop intelligent retailing. 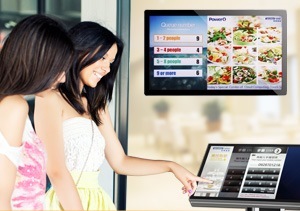 This increases store management efficiency, and also gives consumers a new shopping experience. For the last eight years, IBM has been publicizing their “five future innovative technologies (IBM Next 5 in 5)”, which are five innovative developments that are predicted to change how humans work, live and interact within the next five years. One of 2013’s five innovative technologies was “Buying local will beat online”. IBM believes that physical stores will once again ignite shopping booms, especially after integrating online transactions, which will make physical stores more competitive.